While Seattle was worried about becoming the next San Francisco, other cities were worried about becoming the next Seattle. For example, many New York City residents are worried about Amazon turning New York into “Seattle on steroids,” according to Vice Magazine. This may sound concerning to think about but it is understandable considering how expensive it is to live in Seattle nowadays and how quickly it happened. This all began in 2012, two years after Amazon moved into South Lake Union. 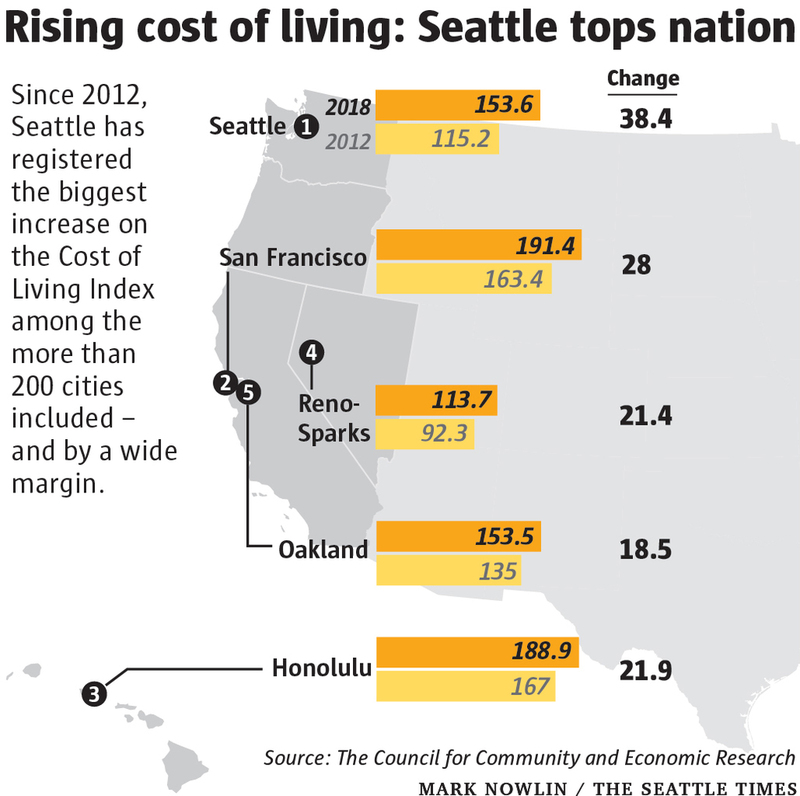 According to the Seattle Times, Seattle’s Cost of Living Index scored at 115.2 meaning that living costs were 15.2 percent higher than the national average. As a result, Seattle ranked 35thamong 300 cities that year. As of Q3 2018, Seattle’s living costs were 53.6 percent above the national average. That’s a 38 point jump from six years ago! Today, Seattle holds title as the sixth most expensive place to live in the country. Housing costs in 2012 were close to 35 percent above average. Now, they’re 113 percent higher. Not only are housing costs much more expensive than it used to be, but prices for almost every good/service has sky rocketed. Seattle has proven to be an economically vibrant and thriving city, drawing many from all over the world. To read the full article from the Seattle Times click here.